Foam cushioning has a profound impact on the reliability of your shipment. Custom foam braces your equipment from damage caused by movement and vibration. 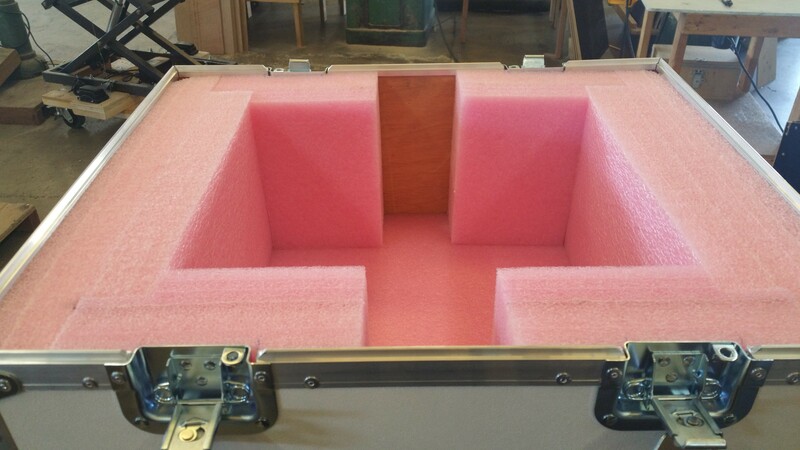 Our precision crafted, custom foam inserts, blocking or cushioning systems, set into shipping crates, ATA cases and other packaging modes, make worry-free shipping possible. Custom foam gives your packaging a precision finish that reflects the quality of your product. Our engineers are experts at determining the type, density, deflection characteristics, and amount of foam cushioning to provide the optimal shock and vibration protection. 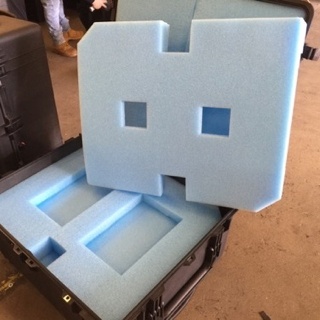 The foam is precision cut on our programmable in-house equipment. You can have confidence in the performance of your packaging system because Larson Packaging Company has integrated the design, engineering, and manufacturing of all aspects of industrial packaging.